Is VS721 the “way to go” in Salt Water? I purchased a 1999 Bayliner Capri cuddy in the fall of last year. This was a fresh water boat and never bottom painted. The hull is pristine and looks like it just came from the factory. 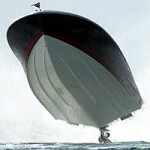 I will be keeping the boat in the water at a marina in Staten Island, New York this summer. I really hate the idea of applying antifouling bottom paint to the hull. What kind of success can I realistically expect with VS721 bottom coat in the waters of my area? VS721 does not contain poisonous biocides but relies on its super slippery finish to impede the attachment of marine fouling. It’s perfectly clear and will seal the pores in the gelcoat to prevent osmosis blisters. It will give you about the same anti-fouling properties as VC17 racing paint without the hassles of painting and maintaining a painted bottom. Marine fouling in the North East coast of the US and Canada has become progressively worse over the past two decades so that now it is more aggressive than in the Florida area. No one knows why but it is speculated that the strains of algae and barnacles in the area have mutated over time to become more resistant to the pollutants and biocides in the water and are becoming ever more difficult to control. Even high load copper anti-fouling paints are barley adequate to keep up, especially if the boat is left moored for prolonged periods of time. 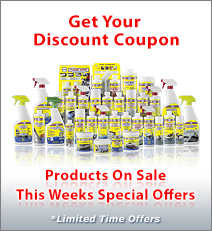 If you plan to use your boat on a regular basis and can wipe off the slime every few weeks, VS721 will work for you. 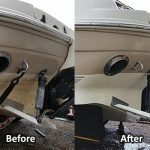 If your boat will be stationary for weeks at a time and if you can not keep the slime from accumulating then toxic paint is the only answer otherwise you will get growth on the bottom of your boat. If you decide to paint, I suggest that first you apply a barrier coat to prevent osmosis blisters and then ask around to find what others are using successfully. I suspect that you will have to use the most toxic paint that is still legally available in your area. The most effective paints have been banned because of the damage they were causing to the environment. Sales of VS721 continue to increase each year in the range of 350% to 450% so it works for a lot of boat owners, both in fresh and salt water but we have been getting a few complaints from boat owners in your area. This is from boat owners that do not take their boats out for weeks or months at a time. The abrasion from the water when running the boat is usually sufficient to knock off the slime and if there is not slime to feed on, algae and barnacles will not attach. VS721 will also make the bottom considerably easier to clean if you do get some growth. 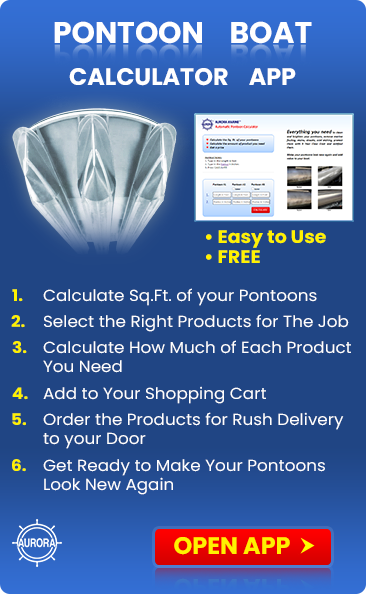 The final choice of bottom protection will depend on how you use and maintain your boat.